3.5" color LCD monocular viewfinder. Allows you to view and focus the picture before taking it. Provides a digital HD interface to the HXC-D70 SD / HD system camera. Used with the HXC-D70K and L packages, and PMW-350 or PMW-320 XDCAM camcorders. 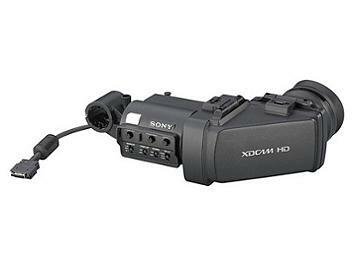 Can be used with the PMW-500, XDCAM HD422 solid state memory camcorder.